Zebra GK420D Label Thermal Printer. Dispatched with eBay delivery – Shutl 1 day. 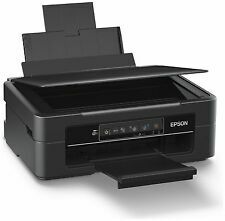 Epson WorkForce WF-2630WF All-in-One Wireless Printer Office Home. Condition : Good. We will always help you to have a 100% positive happy buying experience. The printer has been used for demonstrations and has almost full ink tanks. Installation can be from the included CD or downloaded, as can the manual. 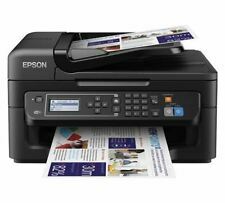 Epson Expression Home Xp-445 Colour Wi-Fi Small-in-one Printer - White.... Condition is Used. Dispatched with eBay delivery – Shutl 1 day. Zebra GK420D Label Thermal Printer. Condition is Used. Dispatched with eBay delivery – Shutl 1 day. 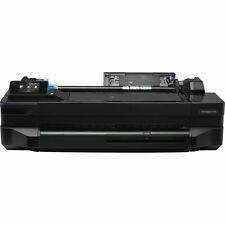 HP Laserjet 1018 Mono Laser Printer with 1 new toner ink cartridge. Condition is Used. This is a fast black and white printer with spare i k cartridge. It comes with the lead and is in excellent working condition. The HP inkjet printer has an ISO speed of up to 16 color ppm and 20 black and white ppm, perfect for busy teachers or office workers. HP fax/printer/scanner. (Officejet pro 8600 Plus). Used but in good condition. Zebra LP 2844 Label Thermal Printer. Condition is Used. Dispatched with Royal Mail 1st Class. Feeling artistic?. Get more for your money too with individual inks, as only the colour used needs to be replaced. This affordable model efficiently uses your space combining printing, scanning and copying facilities in one unit. Need a ultra-low cost and hassle-free printer?. This 3-in-1 inkjet can reduce printing costs by 74% on average. Technology Inkjet. If you have a busy household and rely on your printer, there’s an easy solution. New sealed box HP OfficeJet Pro 7720 All-in-One Printer. Condition is New. Collection in person only. It can, however, print in A3. Looking for a stylish and economical printer?. Single-sided scan speed (A4 colour). Single-sided scan speed (A4 black). Ultra-low-cost printing: Print up to 4,500 pages in black and 7,500 pages in colour. 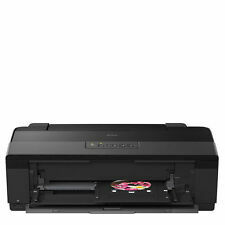 Canon 6219B008AA - 6219B008AA IP7250 Inkjet Printer. It is a one-stop platform that combines all software currently available for Canon PIXMA printers through a single, easy-to-use interface. Compatible Ink, Toner & Labels. ZEBRA GK420d THERMAL LABEL PRINTER. PART # GK420d. ZEBRA THERMAL LABEL PRINTER. USB / SERIAL INTERFACE. USB CABLE INCLUDED. Sent in original outer Box for safety. This 4-in-1 printer uses a PrecisionCore printhead to ensure top quality, laser-like performance. WorkForce WF-2750DWF. XL inks can help you to reduce your printing costs by up to 25%. WorkForce WF-2750DWF datasheetPDF. Canon™ Pixma IP7250 A4 Printer. Find out more about the Canon PIXMA iP7250, its features and what it can do. It’s easier and quicker than ever to print photos with My Image Garden and experience the full potential of your PIXMA. Wi-Fi, Wi-Fi Direct ensure flexible connectivity. WorkForce WF-2630WF. XL inks can help you to reduce your printing costs by up to 25%. The WF-2630WF has Wi-Fi connectivity with automatic set-up. 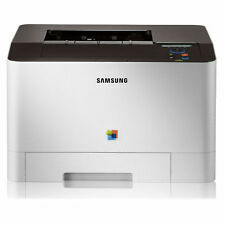 The WF-2630WF is also compatible with Apple AirPrint. Emails, contracts and business class flight itineraries: Your office printer has a lot of work to get through. These printers are up to the job. 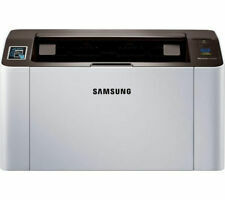 Looking for a printer that can also scan, fax and fold your laundry? These versatile models have you covered (apart from the laundry bit, sorry). A reliable printer is an important component of any home office. Get more for your money by looking for a few key features. 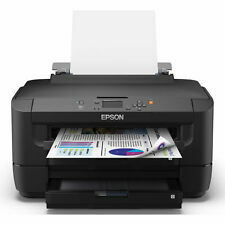 If you're looking for the perfect printer for your office or home, you'll find printers of every type here on eBay. Ranging from ID card printers all the way to 3D printers from well known brands like HP and Brother, you can find the perfect computer printer to suit your every need. Each different type of print technology has its own uses. Geljet, although a more expensive technology, offers less smear on each print and less ink wasted. With a sensor telling you when each ink cartridge is empty, you save money in the long run by purchasing ink only when required. Print in bright and vibrant colours with dye sublimation technology, as well as ready to go and dried paper immediately after printing. Or, go for high quality and high volume printing with laser computer printers, or go professional with a digital printing system, perfect for office use. Every professional workplace, university, library and many more public services use ID cards to enhance security and efficiency. Find specialised ID card printers, able to print in singles or in high bulk amounts to make life easier. If you need to decorate your CD/DVD in an appealing way, but can't do it with your current printer due to how delicate the disc, go for a CD/DVD printer. Print eye catching designs onto your disc to assure that people notice it or pick it up, as half of the public battle is aesthetic design. You'll even find an incredible 3D printer. Well worth the higher price, 3D printers can develop models and various other objects for you with amazing scanning and digital camera technology. Capable of even printing car parts with the right features and inner tech, the 3D printer can be found with different features.